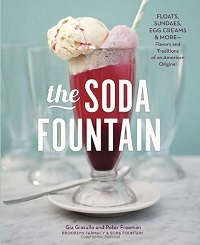 The Soda Fountain celebrates the traditions of the American soda fountain with more than 70 recipes for everything from flavored sodas to multi-flavored sundaes. The book starts with the history of the soda fountain, a tradition which got its start when people began carbonating water and making it readily available to consumers at coffee houses and pharmacies – launching the first soda [water] fountains. Once soda water was readily available, even more creative people began to see what else they could do with it. It was mixed with fruit juices, a variety of flavored syrups (which usually touted health benefits) and alcohol (which was less health-leaning than other applications, but popular nevertheless). From its start, the soda fountain only grew in popularity and soda jerks continued to offer more and more creative treats to delight patrons. The popularity of the soda fountain began to wane in the 1950s, though most people never lost their love for the concept, and it is coming back into fashion as old fashioned soda shops are renovated and relaunched to tempt a whole new generation of customers. These recipes are from the Brooklyn Farmacy & Soda Fountain, which opened in mid-2010 and has been going strong ever since. The recipes start with syrups and sodas, which serve as the building blocks of any good soda fountain. The syrups can be mixed with soda water to create homemade sodas and mixed with alcohol to create some delicious cocktails. They’re also needed to make the float recipes included in the book. 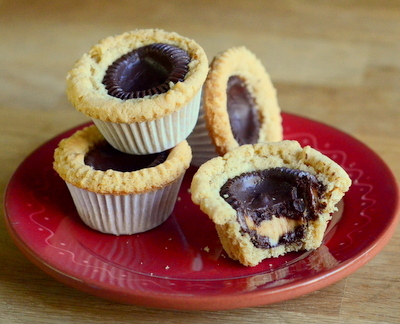 The other chapters introduce decadent sundaes and milkshakes – as well as the toppings that go with them – and a variety of baked goods that pair well with the liquid desserts that the soda fountain serves up. 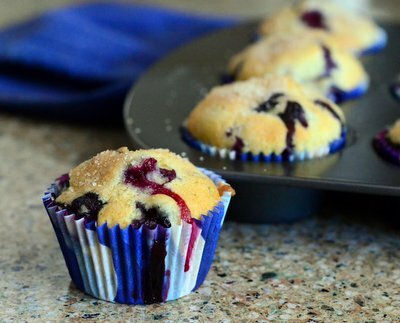 The recipes are easy to follow and fun to make. The syrups can all be prepared in advance so that you have them on hand when you’re ready to serve them up, and the sundae combinations can serve as inspiration for your own creations even if you don’t end up following the book’s sundae instructions to the letter. The photos are wonderful and make all of the recipes look mouthwatering, and the vintage photos that accompany the background chapters will definitely get you in the mood for soda fountain treats even before you get to the recipes.